This inconspicuous Teleflex opener features a fully retracting stainless steel chain with quick release window attachments to facilitate window cleaning. With an internal projection of 64mm the enclosed chain case permits ease of operation whilst allowing close fitting of curtains or blinds. 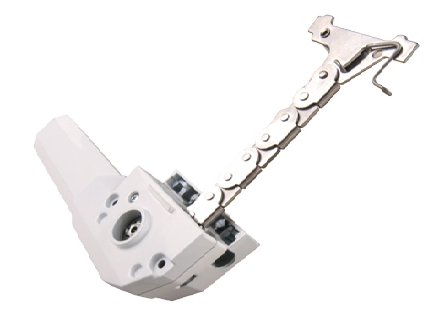 Available complete in both 250mm (10″) and 400mm (14″) travel increments, the chain opener will remain as rigid as a peg stay when extended throughout it’s working lifetime. The all metal chain opener has a high resistant polyester powder white, grey, brown or black finish now with stainless steel chain for greater strength, durability and corrosion free.